Best and easiest 'counter play' the uniscum CV is simply [Esc] -> [Exit to port]. Simple, effective - added bonus you don't have to worry about carrying useless "team mates"
So the Irian* cost is 26,664 doubloons? Are the LNY loot crates the Premium ones or the regular trash-tier ones? WG - The problem with permanent camos -- and a solution. 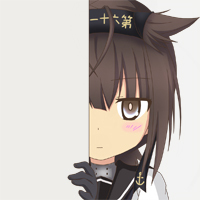 If you do that, the game automatically demounts the camo from the ship so you'll loose all the benefits from it. Is Jean Bart Vapor ware?